Edited by LizardWarrior at 18:22, 14 Apr 2017. Edited by lizardwarrior at 18:35, 19 Feb 2012. Now, I will complain again in 2018 and continue this long tradition. The Priests of the Spider Goddess-" Pathetic Fools!They control the life, they control the death... but they still worship an oversized arachnid... I was one of them, I was Sandro of Heresh...I learned their secrets...but I was superior, my eyes were opened...I finally understood, I could control more that that spider...it was just something that limits their power...then I saw that using the power of the Void I would be capable to be more powerful than that spider...I could control the elements at the highest scale..."
Sandro origins as living human are unknown. He's the only case of an undead human that could control entirely the True Power of the Void and became member of the High Council, Sandro of Heresh,once a necromancer of Asha, but he wanted more, considering that Asha uses them as toys making him incapable to govern the elements at the highest scale, the Void opened his mind. Demonstrating that he is powerful as, if not more powerful than an elemental dragon, Sandro broke the barrier of the reality and managed to control the True Power of the Void as the Direct Descends of The Void do. Because he was exiled from Heresh, due to his anti-Asha propaganda, Sandro wants revenge and thinks that the Behemoth will help him to do this. They made my ubi name into a villain! I JOIN THE RIOT! Edited by LizardWarrior at 18:49, 14 Apr 2017. Didn't know that was an option. Here you will have to fight the Avatar of the Spider Goddess Asha and 2 large stacks of fate weavers. If you gathered a large army you will not have trouble defeating them, don't forget you have also the Dracolich. Edited by EnergyZ at 18:58, 14 Apr 2017. The best way to deal with this is to make them steal the ideas once more. But this time that actually does them harm. I'll start. Once upon a time, there was a bald, ugly hero named Ewin le Baldy. His his ugliness grossed out people. The end. Edited by LizardWarrior at 19:04, 14 Apr 2017. That happened already. However I will be more than pleased if they copy this too. 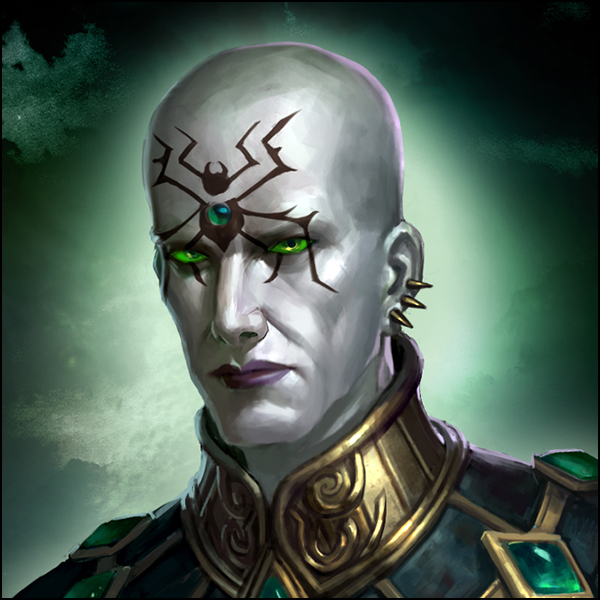 Biography: Personal steward to Archon Belketh himself, Zoltan is one of the many Undead leaders who view Wizards as their true enemies. To better know them, Zoltan studied deeply the arcane magic of the Silver Cities, looking for ways to combine them with his own Necromantic abilities. But his real passion is spiders, which he sees as embodiments of Asha's perfection. Why did Ubisoft decide to revamp the M&M universe? 1/ The world used as a background for the Might & Magic games has often changed from one title to the next (Varn, Cron, Terra, Xeen and then Axeoth with Enroth, Erathia, Jadame, Cheh'dian, etc.) As a result the consistency between all the M&M games was a little weak and the overall background was vague, if not flat-out confusing at times. We want to have a single, deep world that�s consistent across the board and has layers of story and content that players can just dive into. 2/ There was just so much information in the world that it was difficult for new players to really embrace everything that was there. The mass of backstory and continuity was almost intimidating, and we wanted to create a world that new players could enjoy as well. 3/ As much as we enjoyed the original M&M worlds, they had a certain science fiction undertone, while we really wanted to focus on the fantasy aspects � the �might� and �magic�, as it were. Those games were also �lighter� in tone than what we had in mind for the new generation of M&M games.